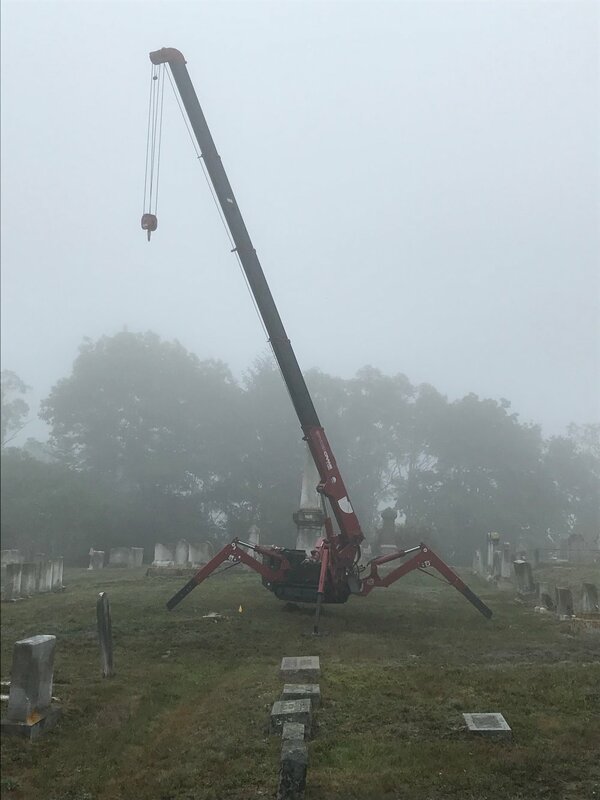 We are the only conservation business that is licensed and owns a UNIC Spyder Mini Crane 295 to carefully and precisely lift gravestones and monuments. This crane is available in our off season for other projects. Dual fuel options allow for indoor use as well. 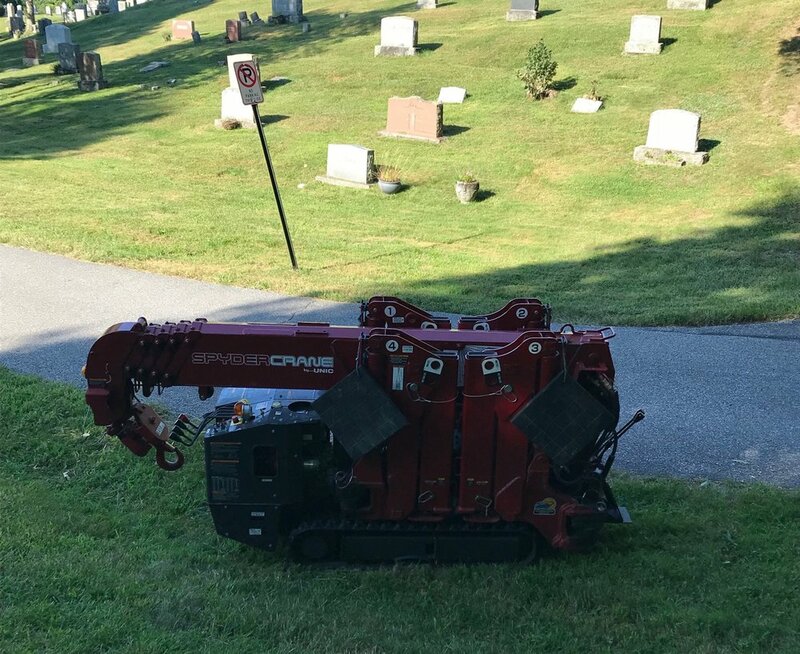 The crane is self driving and small enough to fit through almost any doorway. The crane is light enough to be hoisted or transported to even the most remote or challenging to access areas. Yet the crane is strong enough to lift loads of up to 3 tons. The UNIC Spyder Mini Crane 295 has up to 54 different outrigger configurations to fit and work in tight areas. Maximum lifting capacity is achieved with a footprint of only 15X15 feet. Maximum reach is 29 feet. We deliver and operate the crane for you. The footprint in full extension mode is only 15 X 15 feet with a reach of nearly 30 feet. Notice that the tracks did not damage the grass on sandy soil. Please contact us for further details and our surprisingly affordable pricing.